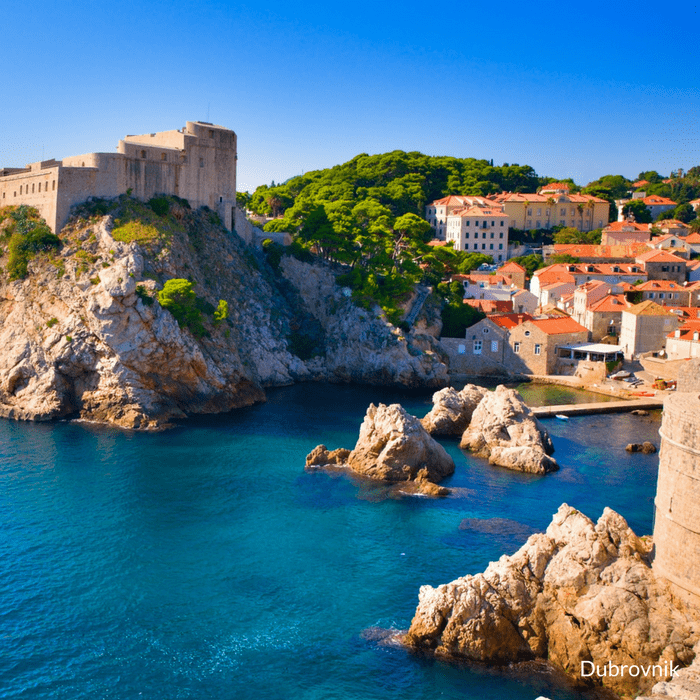 Explore the majestic sights dotted along the stunning Dalmatian coastline on our superior seven-night Split to Dubrovnik cruise. Join our guided tours to discover the culture and charm of every historic city, ancient town and picturesque village stop en route. 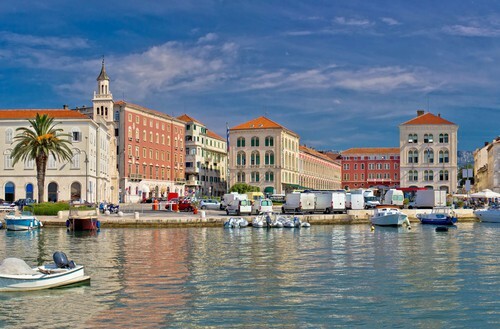 Explore the magnificent and historic city of Split on arrival and relax in the comfort of your cabin. The welcome cocktail party and dinner will commence at 19.30hrs where you will be introduced to the captain and the crew, and will have an opportunity to meet your fellow guests on this exciting voyage of discovery. Guided tour of Split’s major attractions. 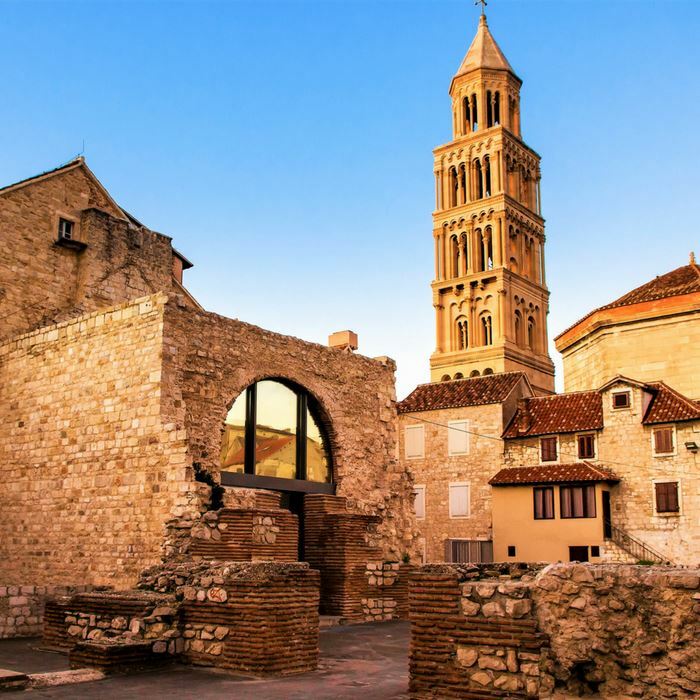 Wander through the historical Diocletian’s Palace and explore the maze of buildings that are situated within the ancient walls of the UNESCO World Heritage Site. 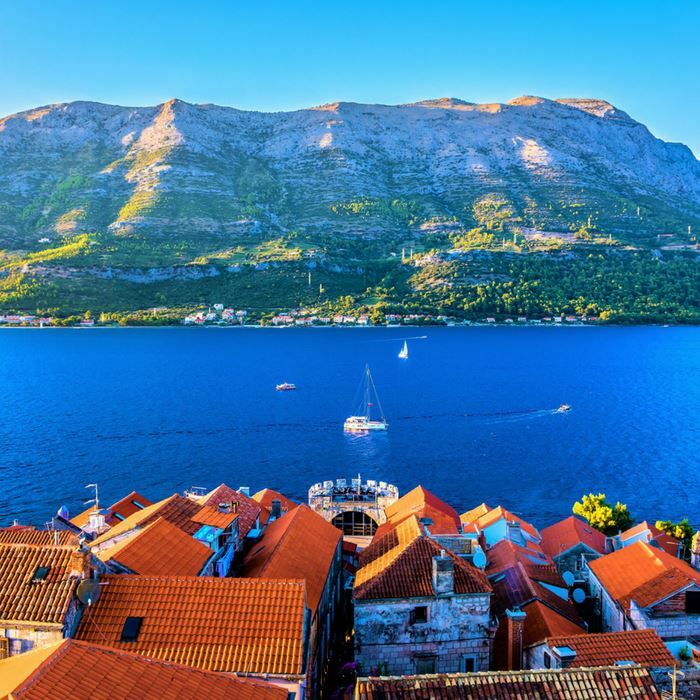 Set sail for the picturesque town of Omis, positioned at the mouth of the River Cetina, boasting imposing city walls, fortresses and stone churches, and a stunning white shingle beach. Our final stop is the delightful village on Brač, Pučišća, home of the only Stonemasonry school in Croatia, and considered to be one of the prettiest villages in Europe. The sun kissed resort of Bol is where you will discover one of the best golden sandy beaches in Croatia. 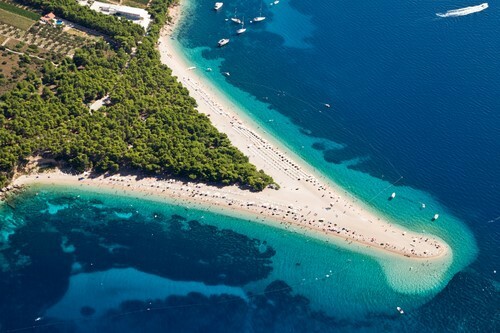 The Zlatni Rat (Golden cape) is the perfect place for a refreshing swim and to soak up the warm rays. 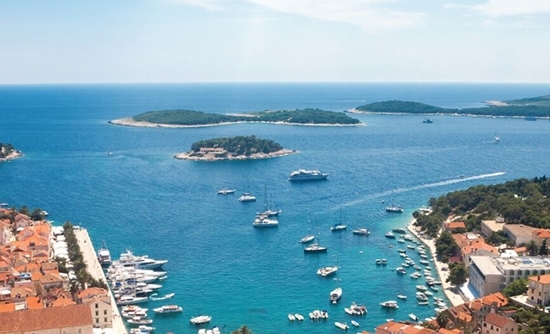 Cruise on to the jet-set island of Hvar and join the inspiring tour around town to learn about the history, culture and lifestyle on this fascinating island. Enjoy a relaxing evening dining in one of the local family-run restaurants and sampling delicious traditional Dalmatian specialites. 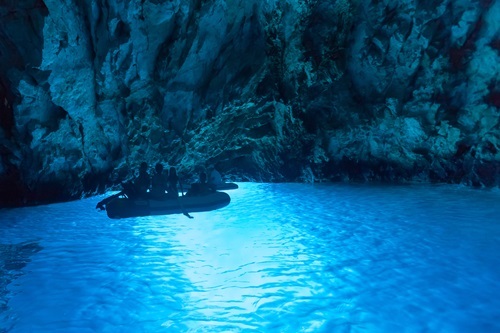 Visit Biševo Island in the to explore its awe-inspiring Blue Cave with its own natural entrance located below sea level. Observe the magical ethereal lightshow that occurs when the sunlight filters through and touches the water. 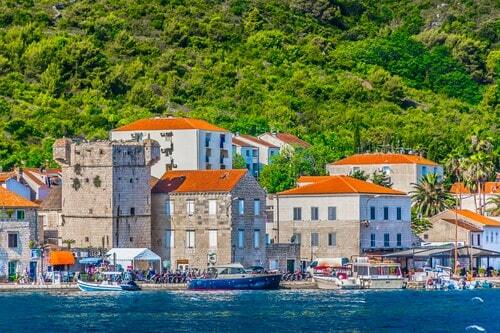 Sail onto the tranquil island of Vis was once a strategic naval base and was therefore off limits to the public. Its nature and beautiful beaches are unspoiled by tourism, and the architecture remains well-preserved. Explore this enchanting old town of immense beauty. 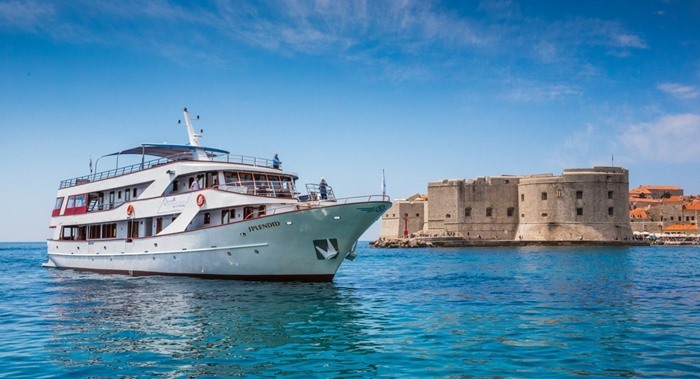 Sail on from Vis Island en route for Korčula, the birthplace of world explorer Marco Polo. Rejuvenate yourself with a swim in one of the beautiful tranquil coves or bays. 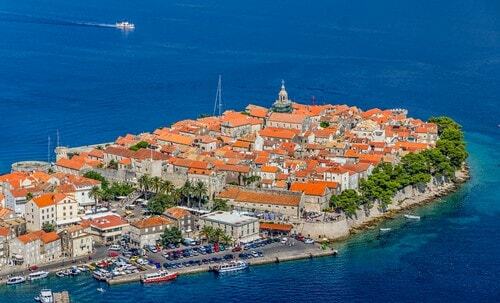 Join the gripping tour whilst exploring Korčula’s historic town. Wander through the charming, narrow cobbled streets and discover the incredible sights, cafes, shops and restaurants of this lovely town. 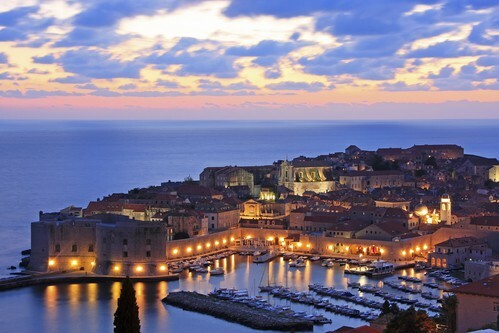 Enjoy a traditional Dalmatian dinner at one of the local restaurants, making the most of the charming town by night. Cruise along to the beautiful National Park Mljet. As we sail through the archipelago islands, cool down with a swim or snorkel. Venture into Mjet like a true explorer, visiting the impressive Great and Small Lakes and hop on a boat to sail across to St Mary’s islet. Explore the ancient Benedictine Monastery that dates back to the 12th century, and admire the stunning flora and fauna of the idyllic natural park. 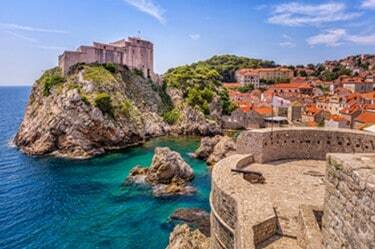 En route for Dubrovnik, enjoy a refreshing swim at the Elaphiti Islands that stretch northwest of the historic city. On arrival in the UNESCO World Heritage Site listed city, join the tour to explore the ancient Old Town that is encircled with imposing protective medieval walls. Admire the stunning Baroque and Renaissance architecture of St Blaise Church and Sponza Palace. Visit the Gothic Rector’s Palace, and the pedestrianised Stradun. Hop on the cable car to ride to the top of Mount Srđ to enjoy the best views of the city. It’s time to bid farewell to all of your new friends, the captain and crew and for your private transfer to Split airport for your return flight home.